The work of recovery from addiction to alcohol and drugs does not end when the intervention is successful and the loved one agrees to enter addiction treatment. 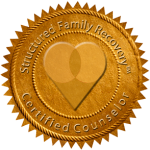 Structured Family Recovery™ uses the momentum of the family intervention team to continue the healing work for the family and prepare them to support their loved one who suffers from the problem of addiction after the formal treatment is completed. Long term healing has been shown to be more effective when the family and the addicted individual follow the processes of Structured Family Recovery™. Structured Family Recovery™ is founded on the concept that the whole family is affected by the disease of addiction, and the whole family is part of the solution. Intervention Associates’ licensed clinical therapist is trained and certified by Love First Training Institute to guide your family through the Structured Family Recovery™ process and to help you anticipate and overcome the obstacles to your loved one’s long-term recovery from addiction to drugs or alcohol. It is not uncommon for a person suffering with alcohol or drug addiction to relapse into addiction after treatment. Yet, there are those groups that experience near complete and lasting recovery. They are people like lawyers, medical professionals, and airline pilots whose successful recovery is enhanced by required participation in the formal system of support available to them after drug treatment. With this long term support and therapy, they achieve a high rate of successful recovery from addiction. Structured Family Recovery™ was developed following that model. The principles of Structured Family Recovery™ were developed by Debra Jay and presented in her thought-provoking book, It Takes a Family. The program helps families learn more about addictions, examine their own actions that may have enabled their addicted family member, and learn to substitute behaviors that enable recovery. Families also learn to identify signs that their loved one has relapsed into using alcohol or drugs and to move that person back to the path of recovery. Structured Family Recovery™ promotes loving and encouraging support for the recovering addict, emphasizing preservation of dignity, and following through for the first year after completing treatment for addiction, the time when a recovering addict is most vulnerable to relapse. Debra Jay is the founder of the Structured Family Recovery™ program, which is available to families in her latest book, It Takes a Family: A Cooperative Approach to Lasting Sobriety. 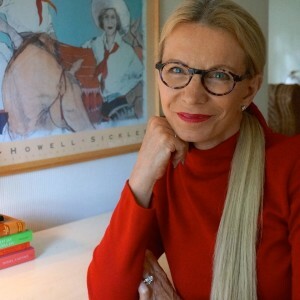 She is the author of No More Letting Go: The Spirituality of Taking Action Against Alcoholism and Drug Addiction as well as the bestseller, Love First: A Family’s Guide to Intervention. She also authored Aging and Addiction: Helping Older Adults Overcome Alcohol or Medication Dependence. Ms. Jay regularly appeared on the Oprah Winfrey Show for 3 seasons as an addiction expert. She has also been a guest expert on The Dr. Oz Show. She is co-founder of a private practice providing Structured Family Recovery™ and Clinical Intervention services to families throughout the United States and internationally.